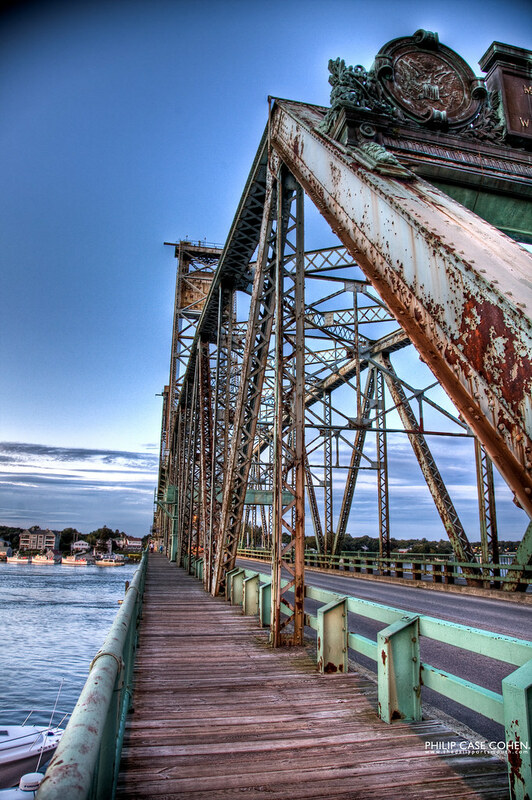 Here’s another take on the Memorial Bridge looking out towards Kittery, ME. 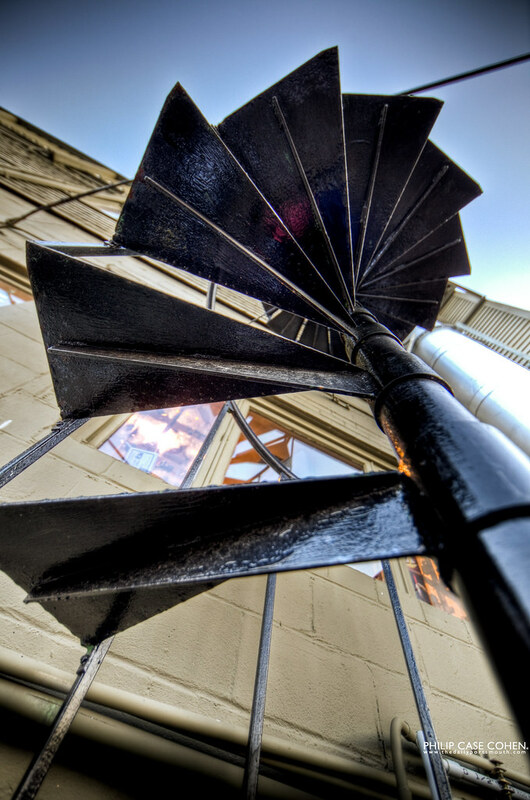 As the Poco’s deck continues to undergo its makeover, the old spiral fire escape on the back of the building remains unchanged. Below is a broader shot of the decks in warmer times with the spiral stairs visible to the right just above the Carly A. Turecamo II tugboat. 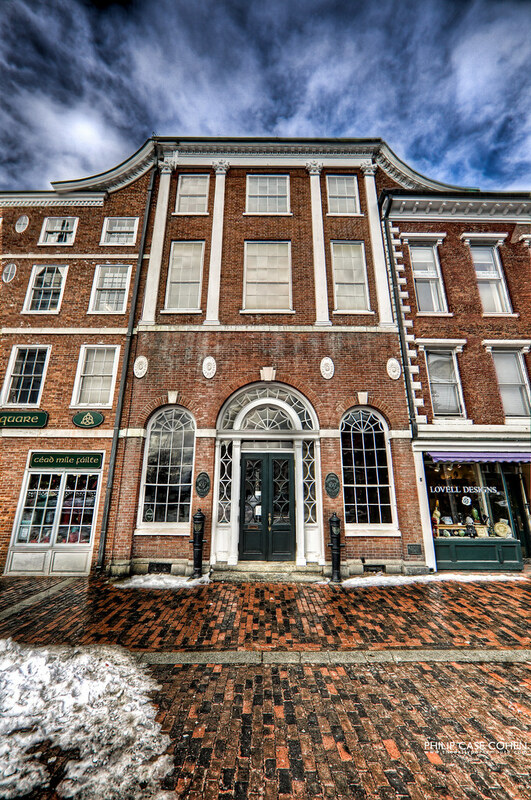 The Portsmouth Athenaeum building located downtown in Market Square is one of my favorite buildings in town, very distinctive with its rising and falling roofline and the cool things on either side of the front door, which I think are from a ship (but I’m not sure of their historical context/significance). 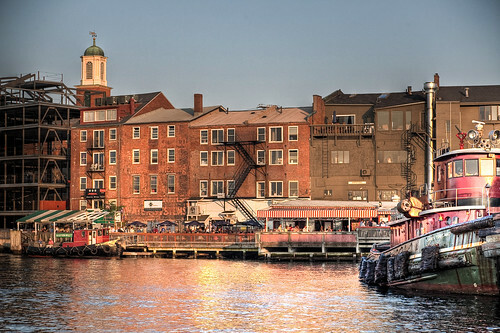 It’s on top of this building that the floodlight shines to illuminate the North Church, and also hosts a webcam for Foster’s Daily Democrat (click here for live shot). 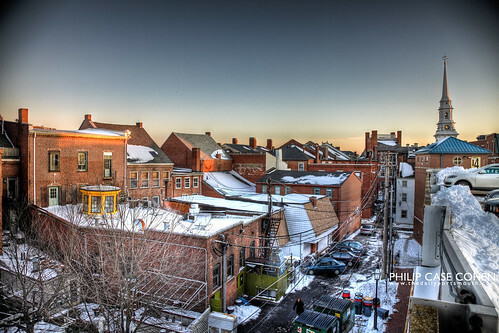 The rooftops of the buildings that line Market Street glow in the late day sunlight. 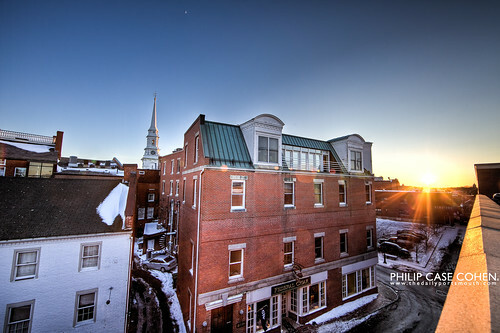 Sometime when you’re out for a walk around Portsmouth, make a point to walk over to the parking garage on High/Hanover Streets and head towards the roof. The view is from a distinctive locale that provides sights you just can’t catch from the street level. 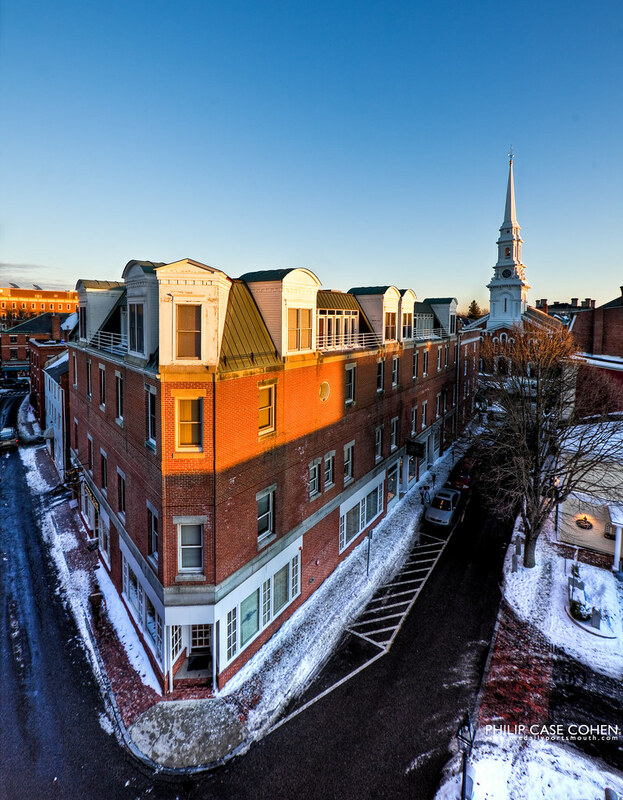 The North Church and the rooflines are featured in today’s post, along with the large building that fills the block between High Street and Ladd Street, with the Federal Cigar visible in the foreground below and DeStefano Architects in the foreground above. You can also catch the entrance to Rudi’s, a delicious destination downtown (and the former home to the Metro restaurant). Just outside the frame in the shot below is the Old Stove Bakery…a tasty addition to the Portsmouth dessert scene…they’ll be featured sometime in the near future.